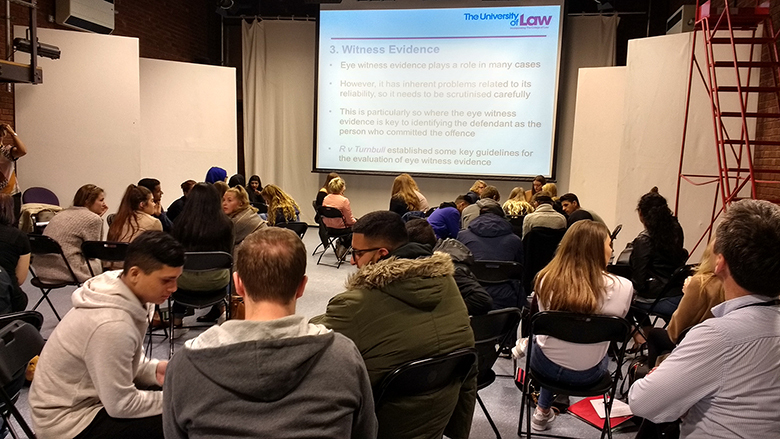 Law students at The Sixth Form College, Solihull practised their advocacy skills this week with the help of the University of Law. A level students focused on the Oscar Pistorius case to examine the evidence against their famous client and work on open, leading and closed questions to try and present their client’s case. Staff from the University of Law were on hand for the workshop, which took place in College, to advise students and allow them to practice these skills. The A level Law course teaches students about the English legal system, as well as tackling issues around Criminal Law and Civil Law. Students on the course also benefit from a study visit to both the Magistrates’ and Crown Courts in Birmingham. In recent years, students have also been able to visit Parliament and the Supreme Court.